Wonder how to recover deleted photos from SD card? Get the best memory card deleted photo recovery software to help you recover photos from SD card easily and effectively. My son deleted some photos from my digital camera accidentally. They were the pictures in a Micro SD card. I am here asking how to recover deleted photos from SD card, because I really need those pictures. Many thanks. An SD card is usually used for such electronic devices as a digital camera or Android cell phone to free up the internal storage, store meaningful digital photos and back up important data. However, what if the stored photos get lost in a sudden? Take it easy! The deleted, lost or formatted photos aren't gone forever as long as you do not read and write data on SD card. When your photos are deleted from SD card, the file system marks the space as "available for new data". So it is still possible to recover lost photos from SD card. What to do to restore SD card photos? When you lost photos on SD card, the first thing is to take out your Micro SD card from your digital camera and keep it safe. If you keep using your digital camera with the memory card, the deleted images will be overwritten and lost for good. So stop using it instaneously. Then you should get a powerful photo recovery Software to help you recover deleted images from SD card. 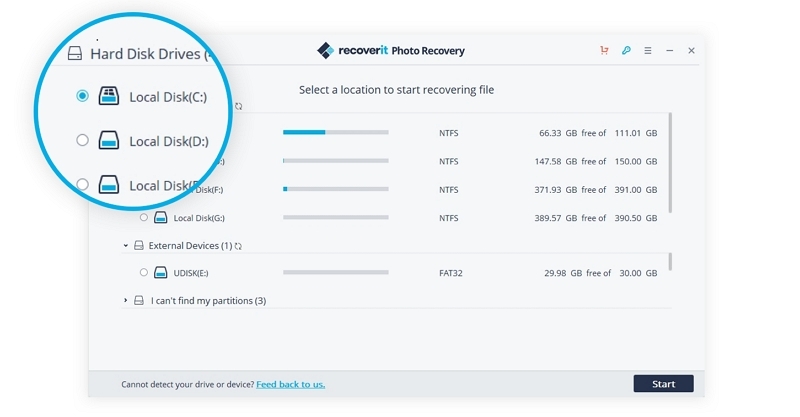 In the next guide, we will show you how to retrieve photos from SD card with Recoverit Photo Recovery program. 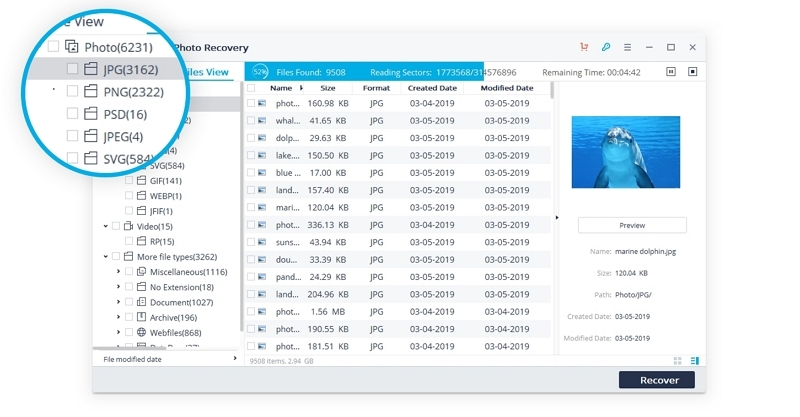 Recoverit Photo Recovery Software is one of the best memory card deleted photo recovery program .It can easily recover deleted or lost photos from Micro SD card. Also, it supports to recover photos from formatted, damaged or corrupted SD card. Recover deleted photos from Micro SD Card easily, effectively, safely and completely. Recover photos due to accidental deletion or lost, formatted, SD card corrupted and damaged, virus attacked. Recover lost photos from SD card or memory card, USB drive, flash drive and computer hard disk drive. Looking around for "How do I recover pictures from my SD card"? Here, we offer you the best solution with video and text versions. Read a little further and get the feasible method. SD card recovery can be a breeze with Recoverit Photo Recovery. Watch the video below and learn how to retrieve photos from SD card right away. Free Download and install Recoverit Photo Recovery on your Windows computer, if you are working on Mac computer, please download Recoverit Photo Recovery for Mac. Connect your Micro SD card to the computer and detected. Follow the next specific steps to perform Micro SD card photo recovery. Step 1 Select a Location to Scan Data. Launch the memory card deleted photo recovery software to restore SD card photos. Make sure your Micro SD card has been connected to and detected by the computer. Here you just need to select the drive letter of your Micro SD card and click "Start" to continue. After the scanning, you can check the thumbnails and preview the retrievable photos from SD card. Select pictures you want to restore and click "Recover" to restore SD card photos. Save them to your computer or external storage devices. The device should be safe enough to avoid accidents. Do not save the retrieved pictures back to its original location again during the process of recovering. Losing photos can always happen. But if you keep some good habits of using digital camera or cell phone SD card, the stored photos seldom get lost. If you want to keep all the stored data like photos and videos safe all the time, you need to purchase a high-quality memocy card and card reader. Bad ones can easily result in digital camera SD card errors and usually photo loss. Every time you insert an SD card in a new or different digital camera, it is necessary to format the memory card before shooting photos. In fact, it is better if you keep using an SD card only in the specific camera. No matter what kind of storage devices you unplug the Micro SD card from, you should eject it safely to avoid data corruption or card issues. To eject the SD card from the computer, you need to follow the notes every time. To remove the memory card from the digital camera is to eject it after turning off the camera. When you find the SD card of a digital camera is almost full or its battery is runned out of, you should stop shooting any photos with the digital camera, otherwise, you are at risk of losing photos recently captured or memory card corruption. Unqualified memory card deleted photo recovery software will further damage your SD card data and even other well-stored data on your computer. 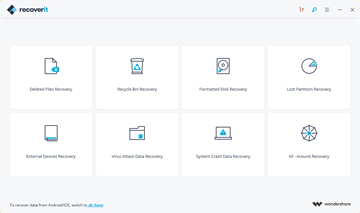 One of the most well-recognized SD card recovery software around the world is Recoverit Photo Recovery. It is your loyal assistant in recovering photos from SD card. 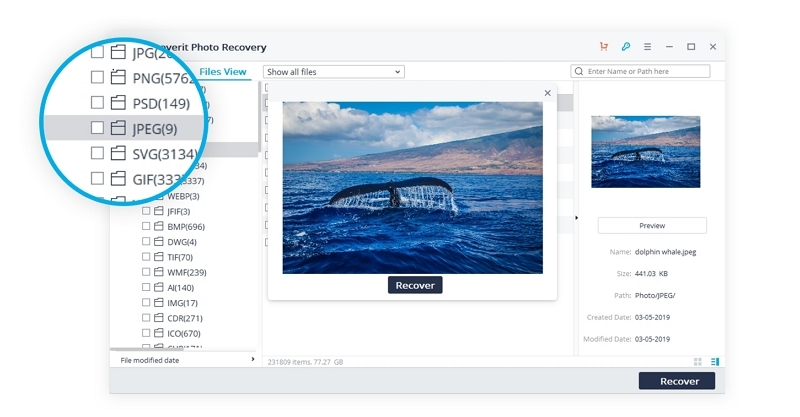 Apart from recovering deleted pics from SD card, Recoverit Photo Recovery software is capable of recovering photos, audios, and videos from computer, cell phone, external hard drive, USB flash drive, digital camera, and many other storage devices.